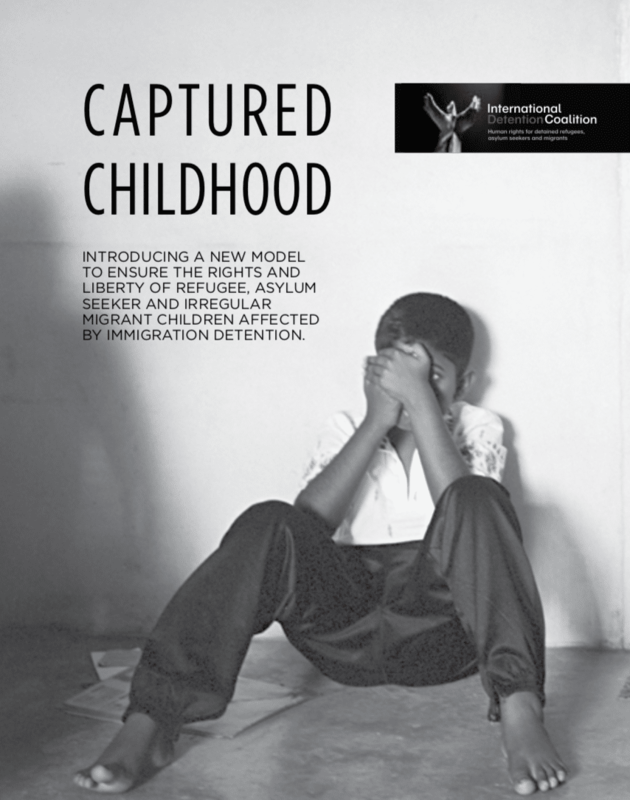 Captured Childhood is a report detailing firsthand the stories of children and parents from all over the world who have experienced immigration detention, told to the IDC and forming this research. In total 70 children were interviewed in Malta, Greece, Hungary, Turkey, the United States, El Salvador, Mexico, Israel, Egypt, Malaysia and Australia. The children had travelled from Afghanistan, Sudan, the Democratic Republic of Congo, Somalia, Ethiopia, Honduras, Colombia, El Salvador and Guatemala. We also listened to the experiences of 16 parents of children who had been detained. Consistent with the Convention on the Rights of the Child, this policy document conveys the stories of children who have been in immigration detention. Their experiences highlight the need for alternative approaches to managing the irregular migration of children.